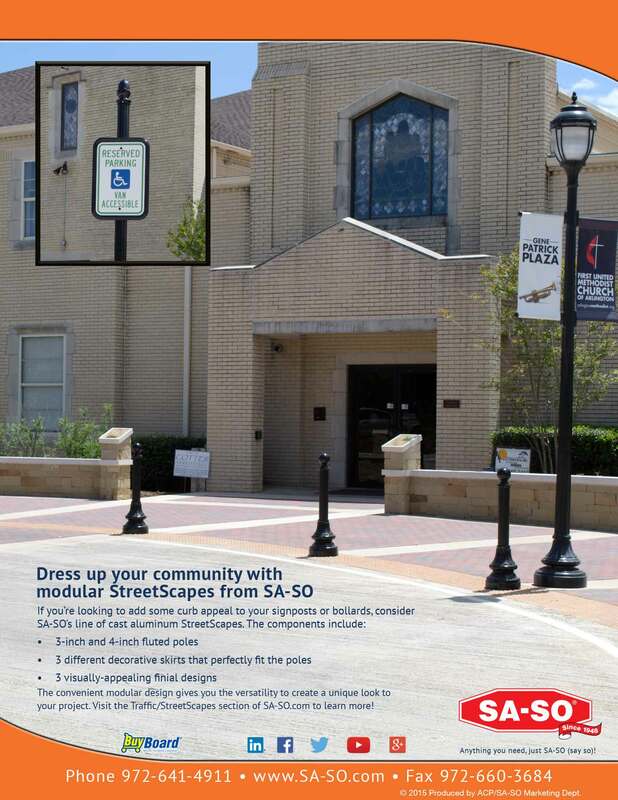 SA-SO StreetScapes (sign post finials, slip on skirts, and fluted ornamental poles) will enhance the aesthetic appeal of your community’s parking lots, streets, and private property. Our antique round, round slipover, bordered round slipover, octagonal slipover, and Victorian round slipover skirts add a durable, finishing touch to any decorative ornamental sign post. Our acorn, ball, and star finials top off each post quite nicely. The finials, skirts, and fluted sign posts are made from cast aluminum and finished with top quality powder coating giving it a superior polished look. These decoartive sign posts look great in any community! SA-SO’s fluted posts come in several different lengths and are made with cast aluminum. They are topped with powder coating making them durable and environmentally-friendly. You can also dress up any sign with an ornamental sign frame and make the necessary safety device really stand out! Give your town or city some curb appeal with decorative sign frames and fluted posts from SA-SO.